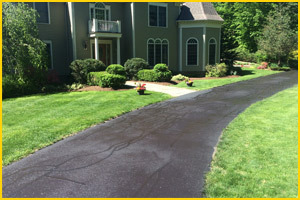 Connecticut Sealcoating is happy to serve Bristol, Connecticut with the top of the line residential, commercial, and municipal asphalt paving services. As a top asphalt contractor in Bristol, Connecticut Sealcoating is your trusted solution for any asphalt need. With services ranging from asphalt repair to asphalt maintenance to sealcoating, and more, no job is too big or too small. Contact us today with any, and all of your asphalt paving needs! The city of Bristol is located in the U.S. State of Connecticut. It is a suburban city and is located in Hartford County. It is approximately 20 miles to the southwest of Hartford. The approximate population of Bristol is 60,150 residents. Bristol has a rich history and is well known for having some prominent attractions and locations for visitors and local residents to enjoy. It was originally incorporated as a town in 1785 and was finally reincorporated into a city in 1911. Bristol is home to Lake Compounce. Lake Compounce is the oldest amusement park in the United States. The area containing Lake Compounce is also partially in Southington, Connecticut, a neighboring city. Bristol is also home to ESPN, also known as Entertainment and Sports Programming Network. This is one of the most well-known sports programs in the entire world and has been running for nearly four decades. The city of Bristol has earned a few nicknames over its history that have stuck for many years. The city is called the “Bell City”. The reason that it is called the Bell City is that it is the home of the spring driven doorbell invention. These doorbells are immensely popular throughout the city, as well as across the United States. Bristol is also often referred to as “Mum City” as it was once the leading producer of Chrysanthemum flowers. It holds the Bristol Mum Festival every year in celebration. Connecticut Sealcoating has been a top asphalt contractor in Bristol, Connecticut for many years. Our dedication to customer service and diligence when serving our Bristol clients is unmatched. Give us a call today! Learn About A Bristol Asphalt Project! At Connecticut Sealcoating, LLC we have been a premier asphalt contractor in Bristol, Connecticut for many years. 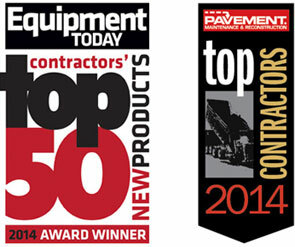 We are proud to be the paving contractor that focuses on customer service and finished products. Our crew of trained asphalt professionals is ready to handle any size job. If you are looking for municipal, commercial, or residential asphalt paving services in Bristol, make sure to contact us today. Connecticut Sealcoating is the asphalt company that you can depend on. We recently received an online quote request from a local homeowner. They were looking for asphalt paving in Bristol. We spoke with the client and asked some preliminary questions to get a better idea of the potential asphalt services required. They explained that their asphalt surface was experiencing severe cracking. They were hoping to fix the cracks, as well as add a layer of sealant in order to protect the asphalt paving from penetration by foreign materials. After performing an evaluation for the client, we determined that we would be able to crack seal their driveway and follow that with sealcoating. This would provide restoration for the structural integrity of the asphalt paving, and would also provide a new fresh, aesthetic. They were happy to know their driveway didn’t require a pavement overlay or other form of new driveway installation. Our crew began working on their asphalt driveway shortly after. The asphalt repair work went extremely well, and the crack sealing was effective. Following the repair work, we performed some much-needed asphalt maintenance. Sealcoating an asphalt driveway is one of the most effective forms of asphalt driveway maintenance. At the end of the project, the client was very pleased with the exceptional work that we had performed. They thanked us for our time and effort and ask for some other asphalt maintenance tips. We were happy to share some of our knowledge and experience with them.